Saloon-keepers and street preachers, gypsies and steel-walking Mohawks, a bearded lady and a 93-year-old “seafoodetarian” who believes his specialized diet will keep him alive for another two decades. These are among the people that Joseph Mitchell immortalized in his reportage for The New Yorker and in four books—McSorley's Wonderful Saloon, Old Mr. Flood, The Bottom of the Harbor, and Joe Gould's Secret—that are still renowned for their precise, respectful observation, their graveyard humor, and their offhand perfection of style. These masterpieces (along with several previously uncollected stories) are available in one volume, which presents an indelible collective portrait of an unsuspected New York and its odder citizens—as depicted by one of the great writers of this or any other time. 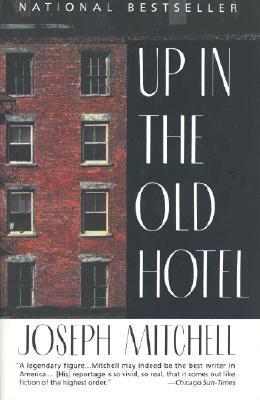 Joseph Mitchell was born near Iona, North Carolina, in 1908, and came to New York City in 1929, when he was twenty-one years old. He eventually found a job as an apprentice crime reporter for The World. He also worked as a reporter and features writer at The Herald Tribune and The World-Telegram before landing at The New Yorker in 1938, where he remained until his death in 1996.